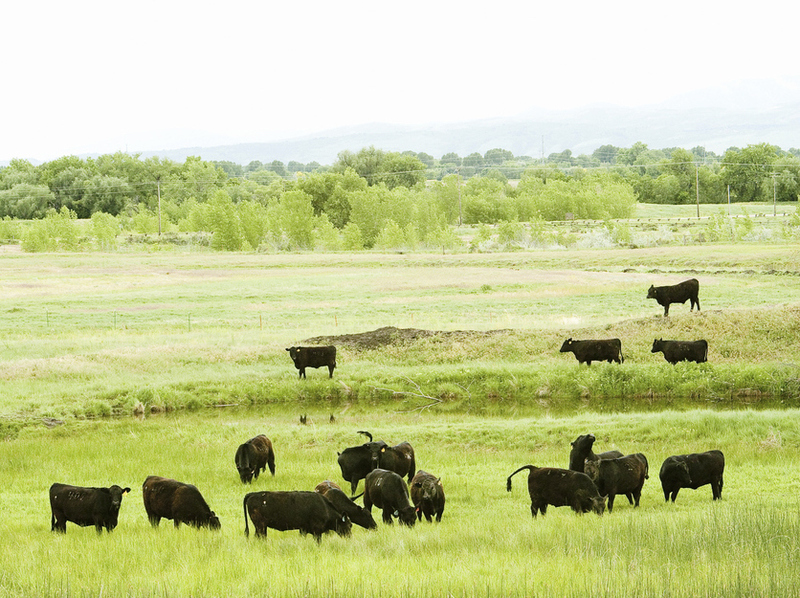 At Rafter W Ranch we strive to give all our animals the best life possible. We do our best to respect the nature of the beast, whether it’s chickens allowed to peck and scratch, or cattle and sheep eating grass and meandering over green pastures. We also believe that a humane death, as stress-free as possible, is non-negotiable. We provide that for our broiler chickens, and we ensure our sheep and cattle are similarly honored. In addition to our transport methods, our beef processor adheres to recommendations and procedures developed by Temple Grandin. She is an autistic woman who realized certain common processing facility practices were terribly (and unnecessarily) stressful on the livestock, which caused them to injure themselves and “spook” easily, which then required harsher handling, in a vicious cycle of harm to the animals. She researched and developed systems for holding pens, loading, unloading, transport/trucking, and even their movement within the processing plants, which calm and comfort cattle and other animals as they are handled and moved, working with their instincts and needs instead of against them. As a result of her wisdom and contributions, our processor and others like them are able to move livestock through their facilities more safely, with less stress, and ultimately in line with our commitment to providing a “good death” to our animals. Unlike conventional industry practices, which seal beef in plastic for a few days or a week (enabling them to sell by-the-pound cuts without any moisture loss), our beef is dry-aged for 30 days. This results in a more tender, flavorful cut of meat which has more “substance” per pound (and therefore goes farther at the dinner table), such as is usually found in higher priced steakhouses and restaurants. Our sheep and cattle live their best life, they help heal the land and soil, they provide safe nutrition to our families, and they deserve the best treatment at death. Anything less would go against everything we at Rafter W Ranch believe in. Check our shop for availability, or feel free to contact us with any questions.